Yeay!!!! 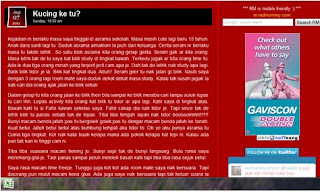 my first guest writer project published at redmummy.com. 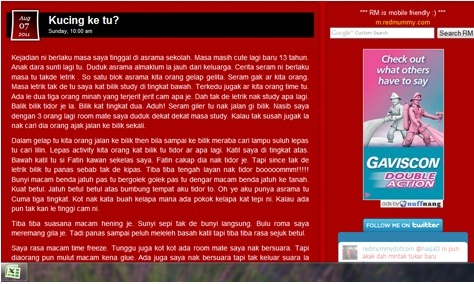 My first story is horror story and I manage to write it in Malay. I don't care! it is a good start and hope could write more story to share with other. Ah! 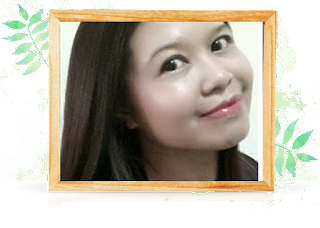 so shy le suddenly too many people visit by online diary. Thank you redmummy.com ! Love you!